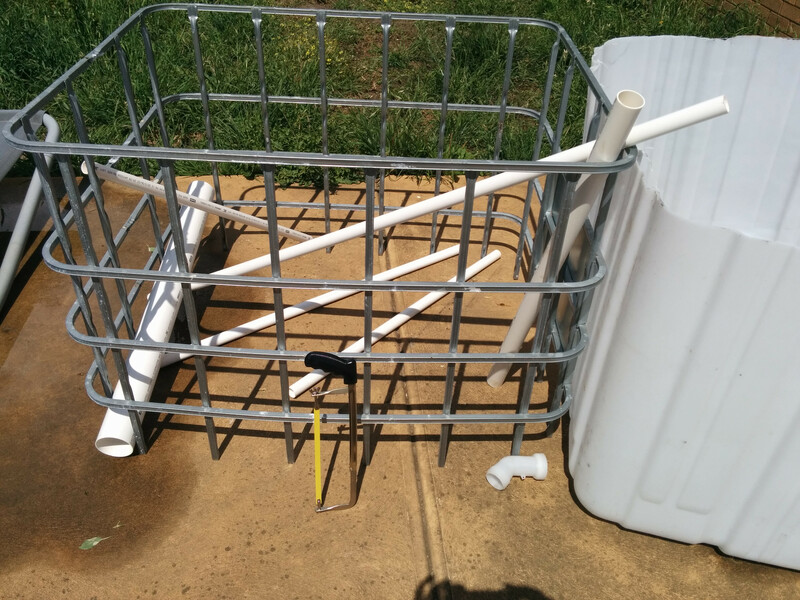 If you haven't already cut your IBC consider getting another - you can leave the supports across the top of the FT one and add a couple of planks in between, and you get 2 GB's or a GB and a sump from the other IBC. There is one fact about AP I don't think anyone disputes... you WILL expand your system if you stay doing AP. I have gravel, but I wish I'd gone clay balls (not the same thing as bio balls - bb's are plastic balls with complex slots and lots of space for bacteria to colonise. I don't see any reason you couldn't use them for a GB but clay balls are something different - clay formed into balls and the baked to provide lots of cracks etc. 200L of clay balls in an IBC GB may not be enough - if there aren't enough in there you can have floating problems plus clay balls need to soak a bit - they will float initially which makes it hard to plant stuff at first. There's a balance between enough keeping costs down and in there to weigh them down by their own weight. Scoria and bluemetal have one big disadvantage - they tend to have edges and that gets painful at planting time. Also a good way to clean any media is to hire a cement mixer for a day. Shovel in, run hose and rinse until clean. Tip out into wheelbarrow and load the next lot. This might be overkill for a single IBC GB where you can load the GB and just run water through it until it runs clean. DON'T have the outlet running into the FT or you then have to clean that. As i told some other guy in some other thread, (for scoria only, i dont use bluemetal) Flood your bed as far above media level as you can and you wont get sore hands when planting and when removing the plants will come up ALOT easier with ALOT more roots intact. the water will take the weight of the scoria away and allow it to float slightly when you dig away at them, it will stop each rock holding onto each other rock. as far as bioballs, i just call them that because ive seen it said plenty of times and is easier to type out. also, i dont consider those plastic things to be anything but junk crap that isnt worth thinking about. Last edited by Yavimaya on Nov 21st, '13, 12:14, edited 1 time in total. Excellent tip Yavimaya. Ozzyrod would send you hugs if he still had his system. I hadnt even considered scoria. For my first project, i think i may stick with expanded clay. Though i have not yet purchased it, so may change my mind between today and tomorrow. Whatever i buy, having done the math, i should probably get about 300L of media rather than 200. If things work out, i will likely get upgradeitis and build bigger, but theres also a possibility i will just end up with dead fish and dead veggies. So im kind of hedging. 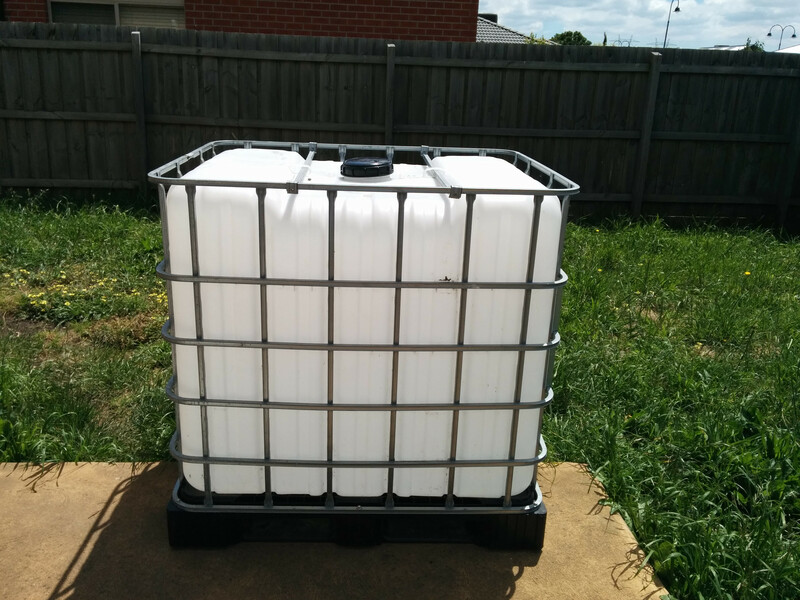 At this point im aiming for very basic IBC system with the growbed sitting directly over the tank. Ive already cut the tank, and will be doing the plumbing work on the weekend. In general, I am an IT manager by profession, and probably the least handy person ever. This idea is a spin-off of my love for hot chillies and my dislike of "normal" gardening. (i do have a autopot setup growing jalapenos and trinidad scorpions). 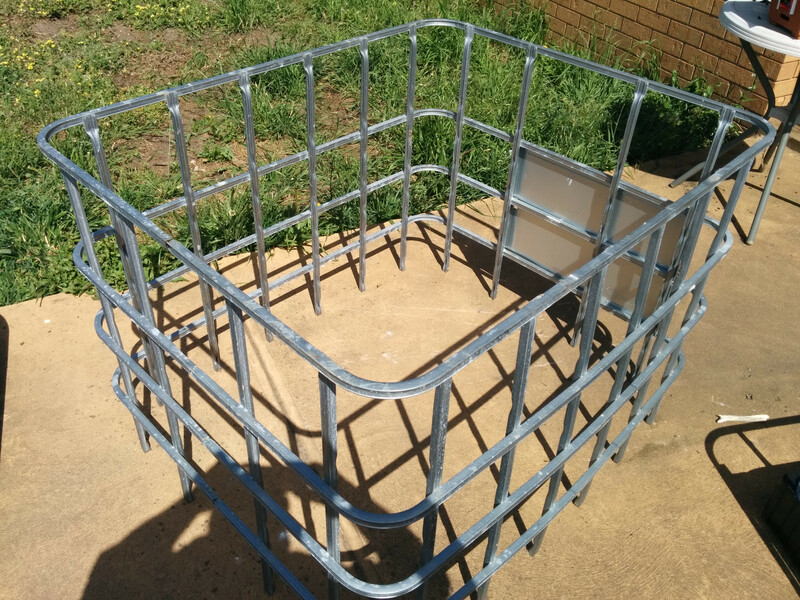 For the moment, i am pretty proud of having cut the steel frame and IBC without losing a finger. Make sure, when you sit the GB up on top, you leave yourself plenty of room to get at the fish and the bottom of the tank. With mine I sat the GB too far forward and when I had to get the fish out it was murder trying to reach in with the net and scoop them using only end-of-hand control. I've seen a system where he put the GB on rails so he could push it back when he needed to get at the tank. Keep it basic and the chances of dead fish are a minimum. You don't have to spend a fortune - my test gear cost a grand total of about $100. I got good fish food delivered from bignutrition.com.au in Qld for $80 delivered for 20kg - I might have gone through 2kg in 9 months. I got seeds of all the kinds I wanted from an eBay shop - think it was about $25 for $25 packets. My fish came from Glenwaters (the SP's) in Glenburn (north of Melbourne) and Maldon (tandanus) but the Maldon one no longer sells fish. The best advice I can give is the Hitchhikers Guide one, 'DON'T PANIC!!!" Most people seem to lose fish or plants because something changes and they race to fix it, then race to fix the fix, then race to fix it back again and so on. Anything seems odd, come on here and search and then ask. Everything you could experience has happened to someone on here and almost everything has a solution. Chasing changes just shocks the fish. You dont need many fish to grow a lot of vegies/peppers. I have 8 cod in the greenhouse system with 900L of growbeds and have peppers and tomatoes growing fine. So as a general part 1 update, i picked up 300L of expanded clay for $150. Feeling ok with that price. Today or tomorrow im going to take the 2 pieces of the IBC across to one of those carwash places and give it a good clean with the hoses there. I dont have a pressure hose, so that should make it easier. Will degrease, prssure clean, then bring it home, wash it out with vinegar and then rinse and let sit with chlorine. Also going to glue the plumbing bits together today. Hopefully i do not glue myself together. Will post pics after all is done. I don't think you should glue until your finally ready. Put it all together first and run with water to check everything works - then glue. ok another update. 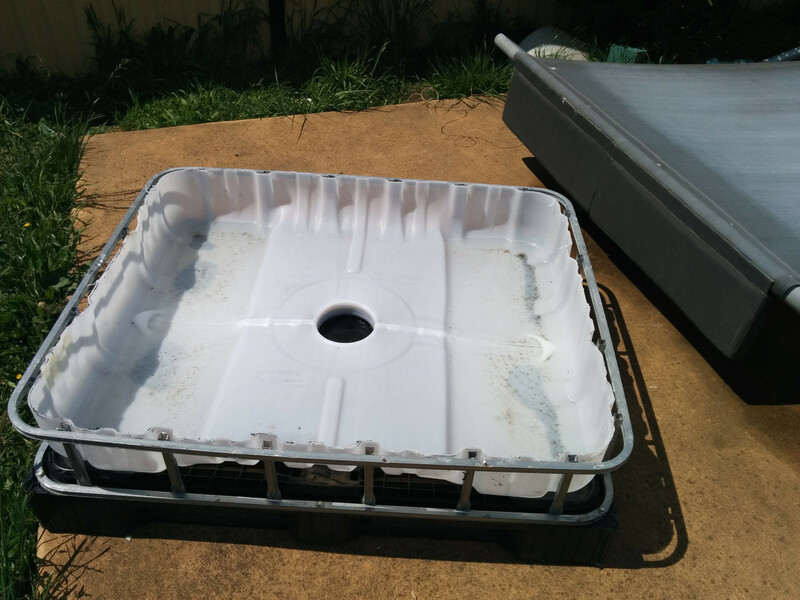 im debating whether i can use the top part of my IBC as a grow bed. initially my only concern was that its lid had no removable center bit, and i figured i could hole saw through the lot, however on looking further, the lid is dead center, the pallet part is rather thick deep plastic and aside from the fact that i doubt i could get a hole saw through all of it, it may then create structural weakness. 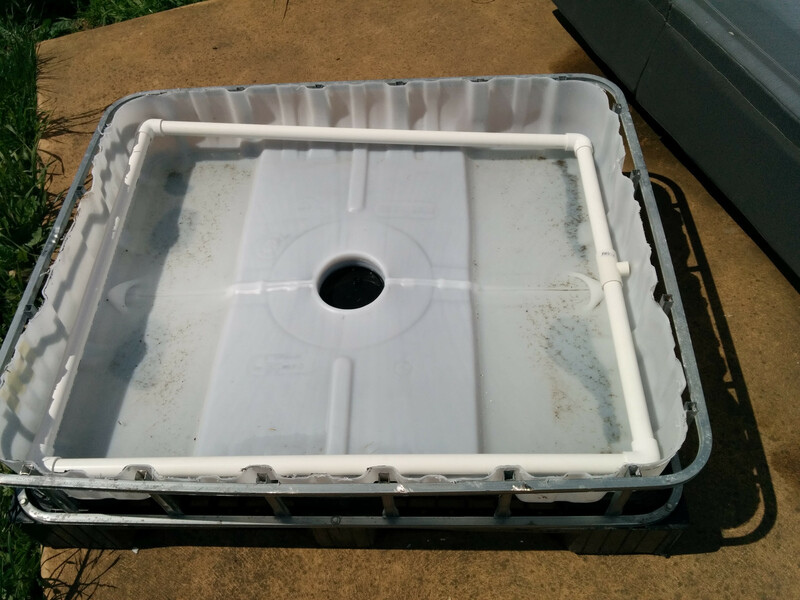 Considering putting the drainage point to 1 side, but the lid is at the center and lowest point, and I worry water will stagnate there. still might be ok to do. Need to think about it. pics of progress so far. IMO you don't want to be siphoning from a low point that is a concentrated settling point for waste/solids, such as the inverted lid. You will be constantly drawing the waste back into the FT or ST. I would put a sink fitting in the lid to act as a drain, that's what I did with mine. Use either the plug supplied, with a piece of 20mm pipe through the middle of it, or a 25-15mm reducer with a piece of 25mm pipe glued into it as both a plug and back-up standpipe, cut to about 5mm taller than your main standpipe. This will not only act as a back-up to stop your GB overflowing in the event your main one blocks up, but can also be lifted out to drain the GB if/when needed. The only water left after draining this way is about and inch or so in the two shoulders. Put your siphon and/or main standpipe to one side, in one of the shoulders, but if running a siphon don't have it siphoning from the very bottom of the bell, put the holes/slots about 30-40mm up from the base of the bell. Put your water inlet on the opposite side of the GB from the siphon/standpipe. IMO, unless you are running constant flood, you don't need the water distribution manifold. If running F&D then a single water inlet pipe is more than adequate. Also, I know the horse has bolted, but that GB is very shallow and won't hold much gravel... you aren't going to have much fish stocking capacity at all... as explained further back in the thread. Last edited by Mr Damage on Nov 23rd, '13, 13:42, edited 2 times in total. Does your lid have air holes on the side (little ones for venting and hard to see?). If you decide to make your standpipe/gravel guard on the side then remember to silicone the holes. Also undo the lid and put a bead of silicone around the O ring and then do up - extra protection. 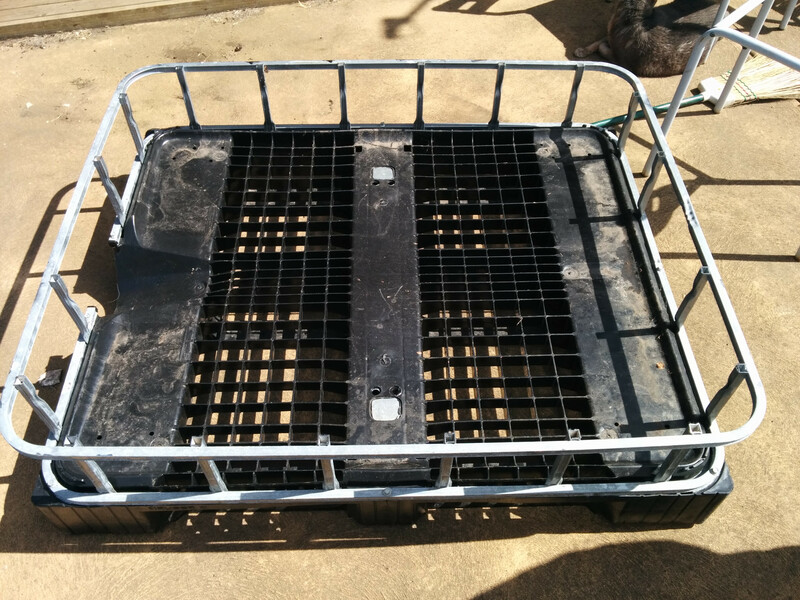 Wouldn't think with the weight that it would be a problem with a small 25-40mm hold through the center - would be different if you were trying to sink the whole lid into the black base - that would be structurally significant in my opinion - I know, I've had plastic pallets. I've got mine setup with the lid in the center and my standpipe on the side - If you look closely you'll see that the lid sits up a little and the sides are roughly the same depth. The advantage of putting it to the side is its easily accessible, and (not in your case) you can have it far away from the water inlet (but you have a square ring. Here's some pics of two different beds: one with middle and one with side. Ok. you guys are awesome. Thanks for the speedy response. I will go back to bunnings, buy a couple of bits and some silicone, but will use the lid as a secondary drain only. Will set my standpipe up on the side instead of center and give it a whirl. After jayendras pics, im worried i made my grow bed too shallow. Hopefully will be ok for chillies and herbs. The issue won't be with the plants... I can't emphasise this enough... The issue will be with the amount of fish your system will be able to safely stock... which is determined by the size of your nitrifying bacteria colony... which is determined by the amount of wet gravel in your GB. Bear in mind that you won't be flooding to the surface of the gravel, your max flooded water level should be at least 25mm below the surface of the gravel, otherwise you will run into issues with algae build up and evaporation. I've even found 25mm to be too high, I set my max flood level to 40mm below the gravel surface... So if your gravel ends up being 200mm deep (looking at your pics I think even that would be a stretch) you would only have about 160mm of wet gravel... which equates to about 180-190L of wet gravel... which could safely support 7 Trout/Barramundi (25L per fish), or about 9 Silver Perch (20L per fish). I think for a first system, 9 - 10 silver perch will be what im aiming for. If it all works well and i enjoy it, i will either build a new/larger system, or add another grow bed. This is really a dip the toe in the water kind of thing (no pun intended). I cannot thank you guys enough for the help and info. Powers gone out now, so i guess im not doing any drilling today. Powers gone out now, so i guess im not doing any drilling today. Then a backup plan/system of some sort is going t be very high on your list of priorities.. Need to keep air up to your fish if the power goes out..
Its a rarity. Power goes out maybe twice a year. Was only out for 20 minutes due to a brief but powerful storm. Aside from once 3 years ago, i dont think weve had a power outage go over 2 hours in the 6 years i have been living here.